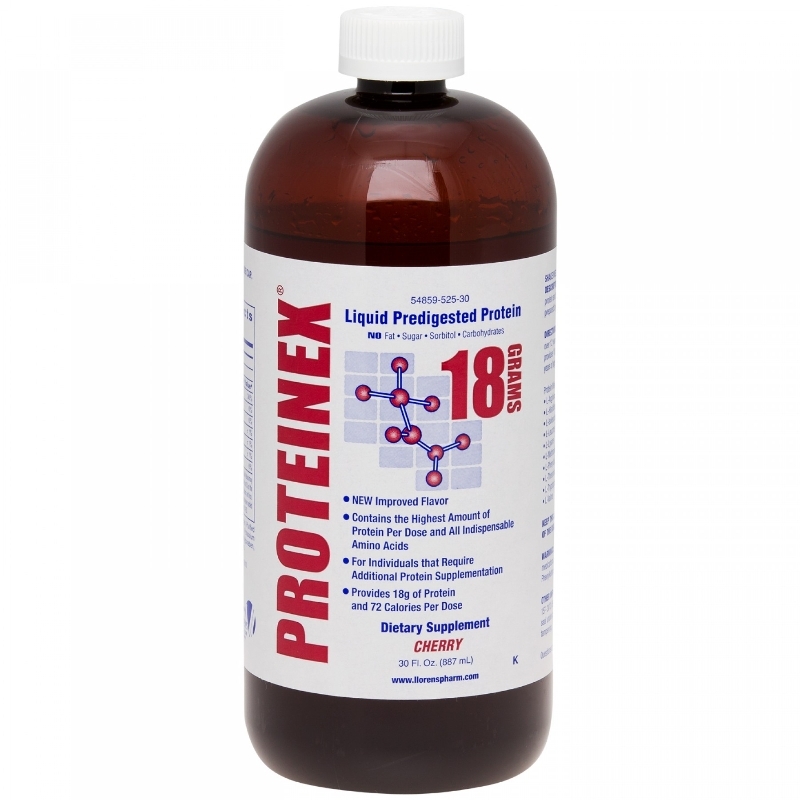 Proteinex 18 Liquid Predigested Protein is a liquid protein supplement that provides 18 grams of protein and only 72 calories per serving. 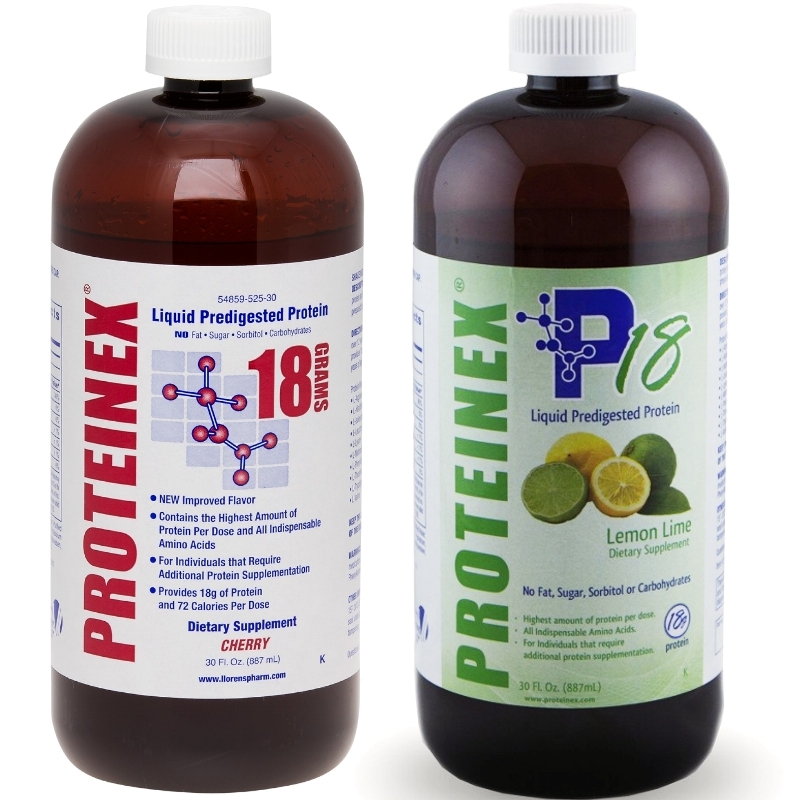 Proteinex 18 does not contain fat, sugar, or carbohydrates. It provides a high concentration of protein in a small dose. Predigested protein means the protein is broken down into its simplest form making it immediately ready for absorption. Proteinex P18 liquid protein is ready to use with no mixing required. 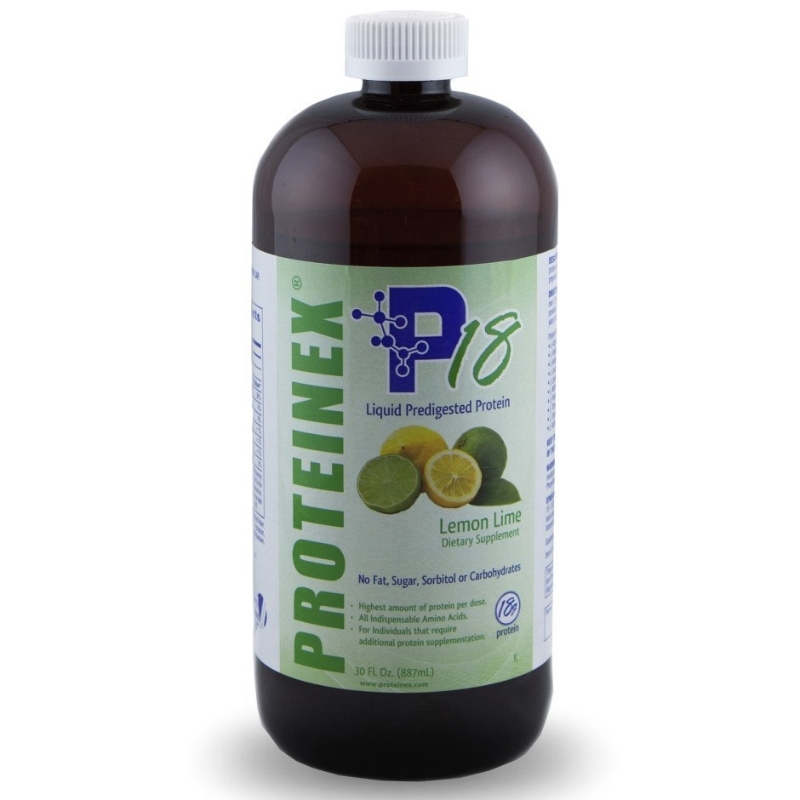 It provides all essential and non-essential amino acids. Available in 2 flavors.